In conjunction with Neal’s Yard Remedies in Leamington, we are offering a combined package – it’s all about bringing you great offers with both a discount and with added value. I hope you agree! 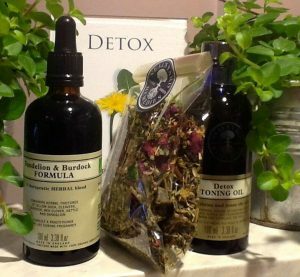 A beautiful packaged “detox” pack (containing detox tea (dandelion and burdock formula) and a fabulous detox body toning oil). All you need in fact to dust away the winter cobwebs, shed a few pounds and put the SPRING back in your step. This can be great as a liver cleanse too, and so can be beneficial as a “preconception care” package too. OFFER PRICE: £55 (a saving of £20) – You can book directly with me or with Neal’s Yard (Leamington only) 01926 832 685.